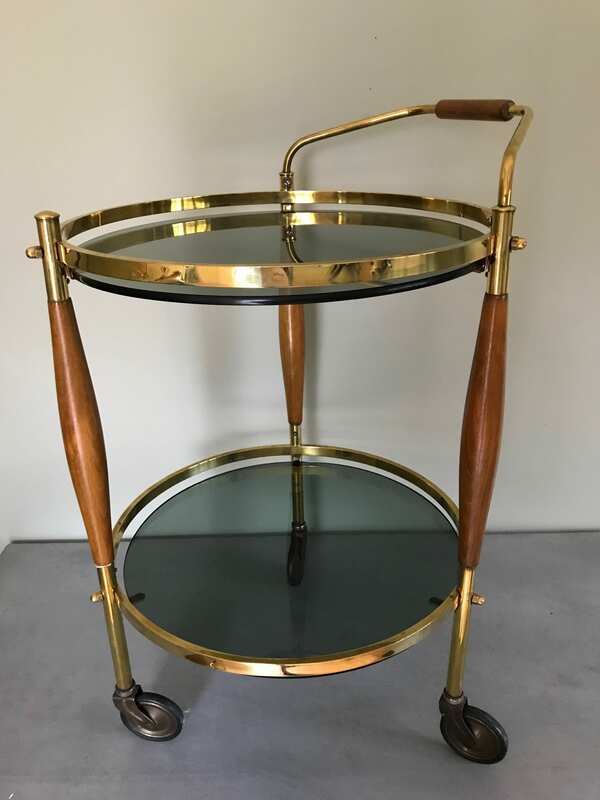 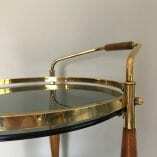 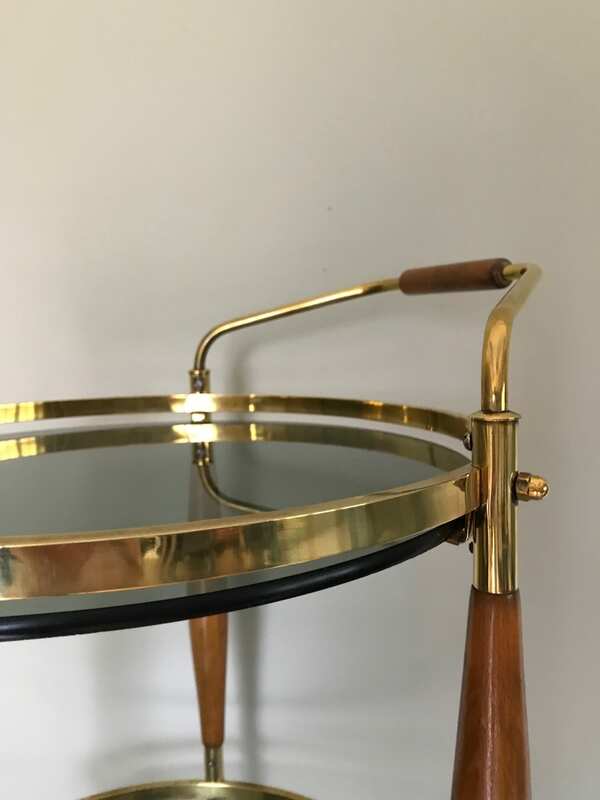 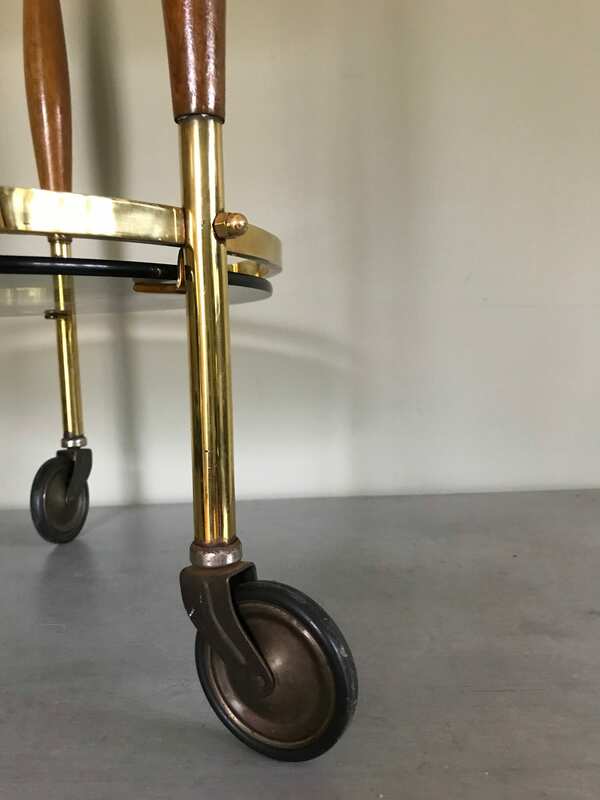 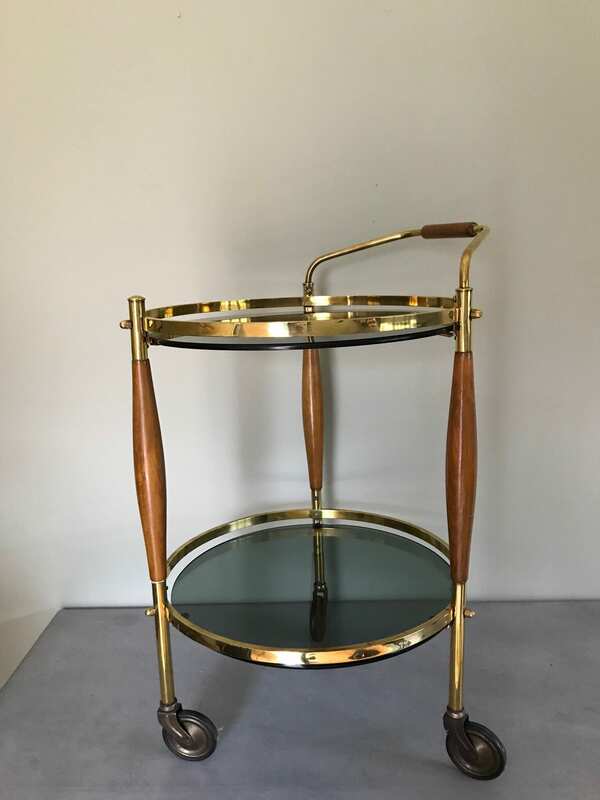 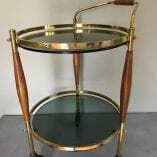 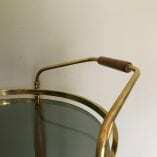 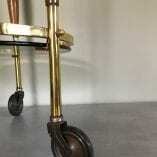 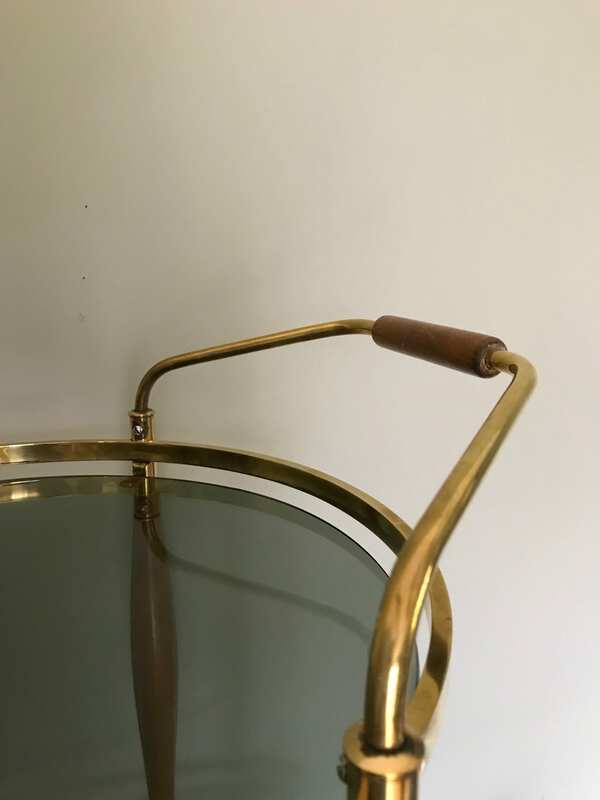 A really lovely and unusual Mid Century brass, teak and smoked glass two-tiered bar trolley. 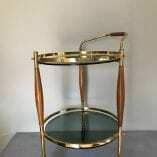 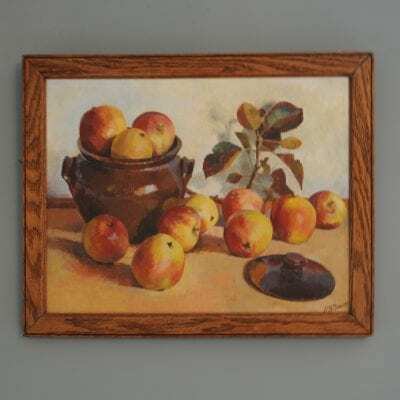 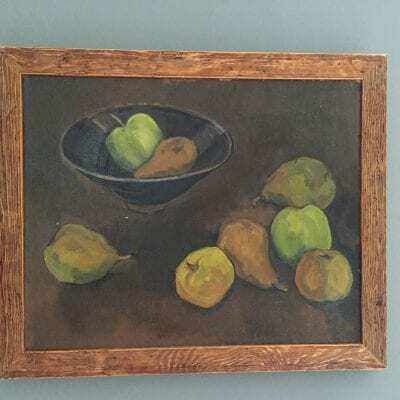 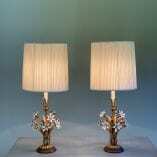 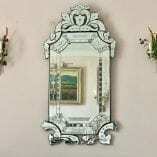 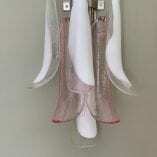 Makes a great bar cart or could be used in a bathroom or as a side table. 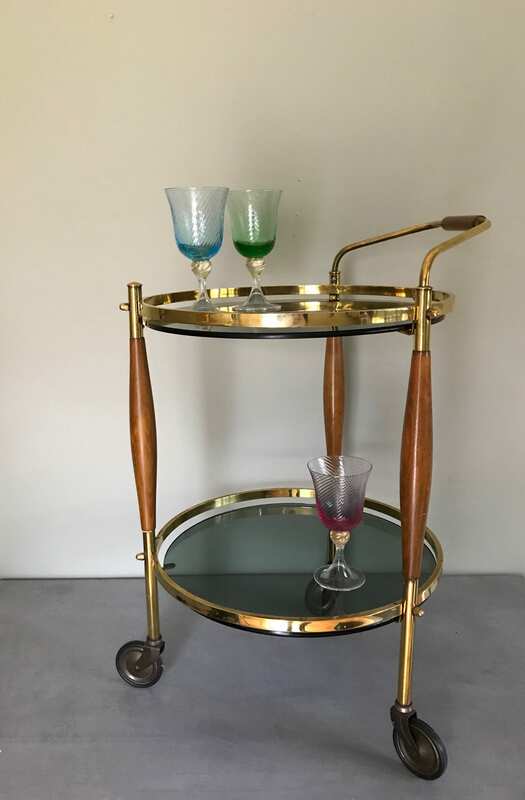 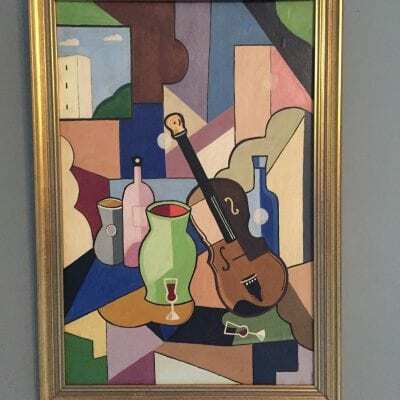 In really excellent vintage condition.